Amethyst Class performed an amazing together time all about Winter telling us lots of information about the season and what happens during this time. They also showed us some of the work they had created in class. The children performed several different songs, poems, a dance and a story about Winter. Take a look at some of the pictures from Amethyst's together time. To watch the video of Amethysts together time click on the link below. 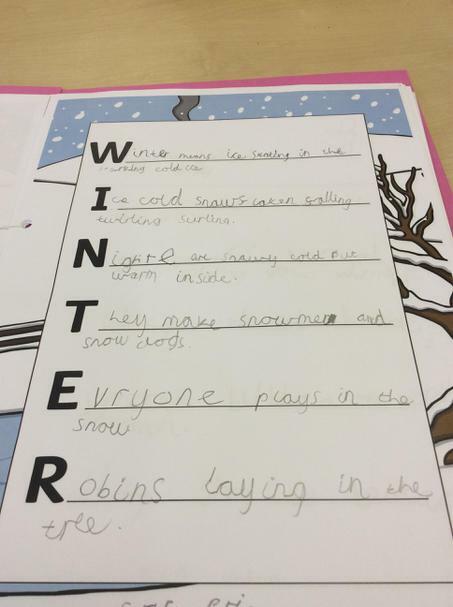 In Year Two, we have been having lots of fun learning about Winter. 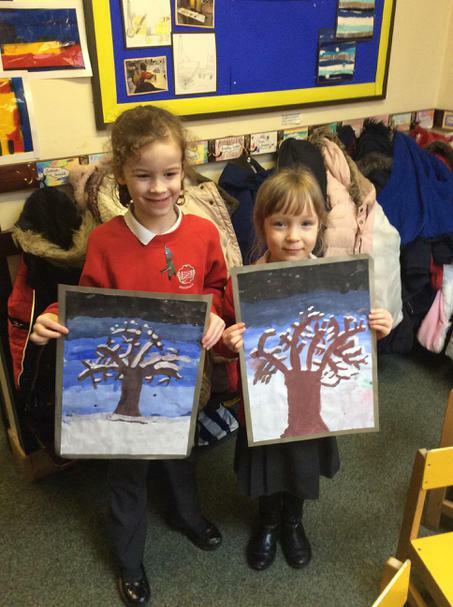 We painted some beautiful snowy tree pictures. First of all we mixed different shades and tones of blue to make our backgrounds. 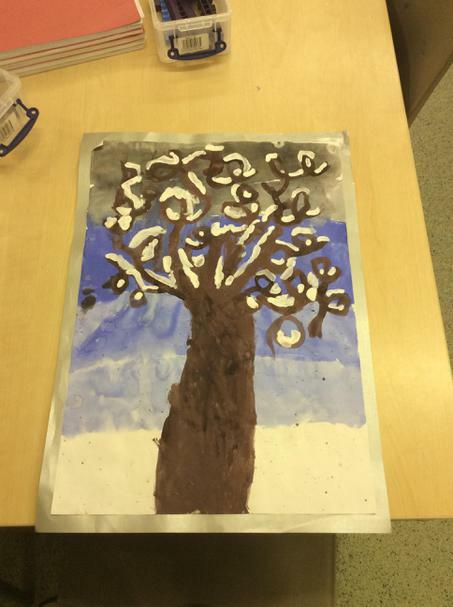 Then we mixed thick brown paint for our trees and finally we added thick white paint for our snow. We were really proud of everybody's work. Well done everybody! 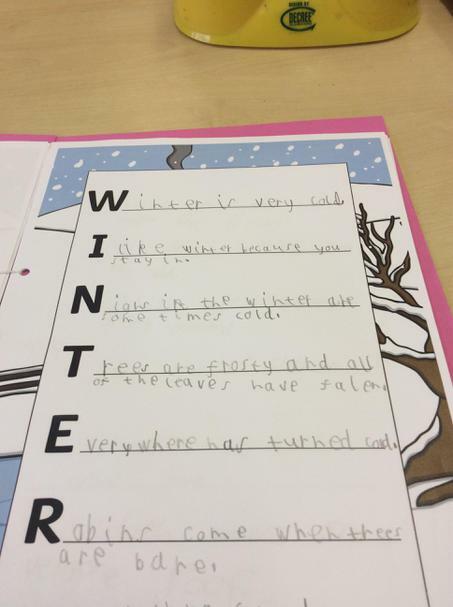 We also wrote some acrostic poems to describe Winter. 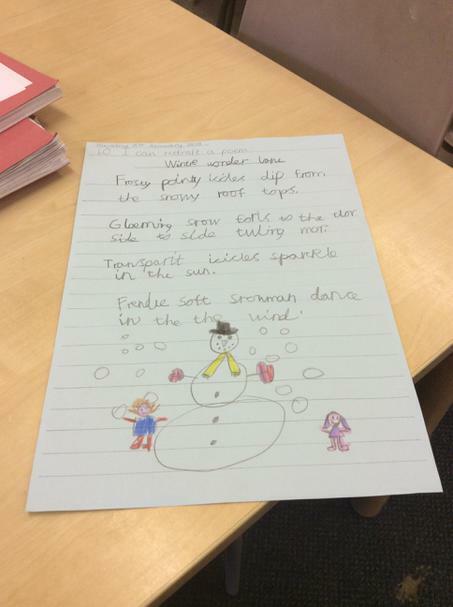 We worked hard to include adjectives, adverbs, alliteration and expanded noun phrases.